Back row L to R.
1 ? ?, 2 ? ?, 3 E Perry, 4 J Freeman, 5 S Terry, 6 ?? possible B Nixon, 7 ? ?, 8 John Nunn, 9 ?? 1 ? 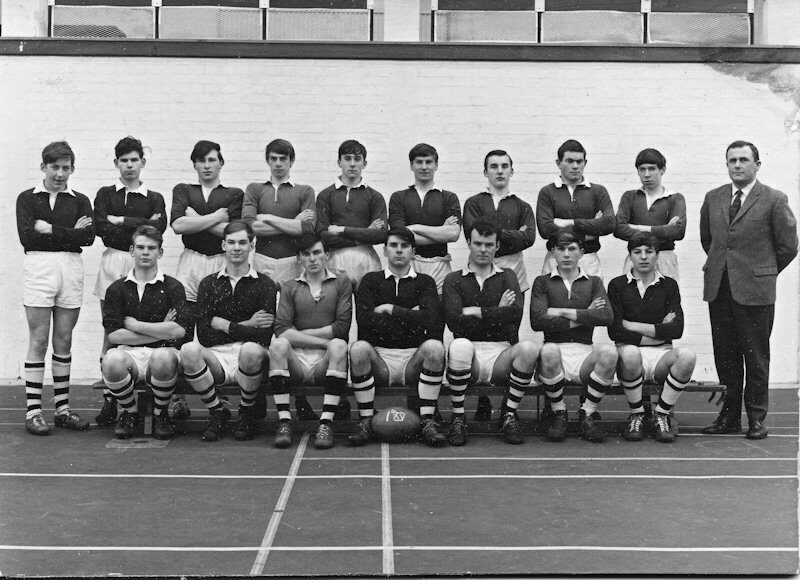 ?, 2 Patrick Warner, 3 Ken Brown (me), 4 Alan Woollam, 5 Trevor Boore, 6 Tony Balding, 7 ? ?